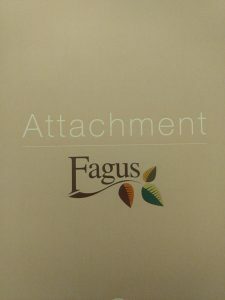 The Fagus Attachment Guide is now available to purchase! Are you looking for a concise and school-friendly guide to understanding pupils' with attachment difficulties? Look no further - our Fagus Attachment Guide is now available to buy! We have been asked by many schools whether they could purchase our Attachment Guide - well now you can! The Attachment Guide offers a complete, concise and easy to read introduction to Attachment. The informative guide helps teaching staff to better understand pupils that have attachment difficulties and highlights how warm trusting relationships can positively impact these children’s functioning in school. We have decided to sell the Attachment Guide separately to our other Developmental Guides because it has really helped the staff at Beech Lodge School understand and support the pupils who are insecurely attached. There is no online checklist for the Attachment domain because it doesn't lend itself to the developmental sequence in the same way the other guides do, so we consider it to be an individual guide in its own right. You can then proceed to the checkout. You can pay for the resource via a credit card or put in a PO reference.